Barça have won the Copa del Rey! 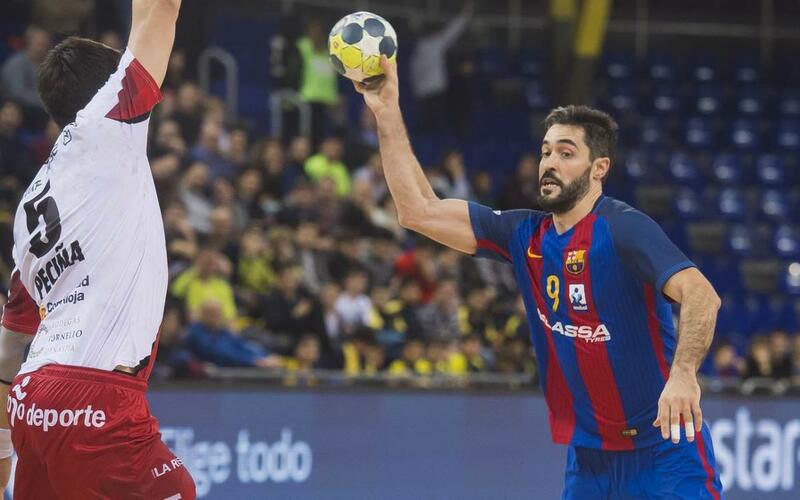 It is the fourth in a row and no other team has won the trophy as many times as Barça Lassa. On Sunday, they beat Naturhouse La Rioja (29-34) in a tense final. The blaugranas finish the season with their fourth trophy and their 21st Copa del Rey in their history. They have also managed to break the record of most consecutive cup wins with their fourth in succession. It was a final and you could tell right from the off. There was little difference between the two teams throughout the first half. Arguinagalde saved 50% of the efforts he faced and the blaugranas had to work hard. Barça were led by the inspired Enterrios in the first exchanges of the game and Valero was also prominent in attack. Xavi Pascual’s side managed to get a lead by the 14th minute (9-7). The Barça defence became tighter and they managed to make the difference tell with some quick counterattacks that gave them a three-goal lead (11-8). N’Guessan was also a key part of the attack and he was the first half’s top scorer with four. However, the opposition didn’t give up and the teams went into the break level (14-14). The break was good for Barça and they were able to score four in a row without conceding once and this left the scores at 18-14. Naturhouse failed to score in the opening six minutes of the second half and Barça were growing in confidence as they opened a five-goal lead. Valero, N’Guessan, Entrerrios and Syprzak were particularly prominent. Barça were clearly on top and Naturhouse were trying to keep in touch (23-19). The blaugranas controlled the game and protect their lead. However, the opposition didn’t give up and they came to within two goals once again (28-26). With five minutes to go until the end the Catalans opened a three-goal advantage with a quick move finished excellently from Victor Tomás. In the end, Xavi Pascual’s players kept their lead and their quality and experience eventually told. The final score was 34-29 and that win gave them their fourth Copa del Rey in a row and fourth trophy of the season.